In every sense, war is expensive. The financial costs alone are enormous, and the revenue raising required to conduct warfare is so large, and so controversial, that they stand behind many of the most famous social upheavals in history (English Civil War, French Revolution, among many others). In the 20th century, Western governments came up with a new idea; borrow the money to fight from the population, and pay it back with interest when the conflict was over. 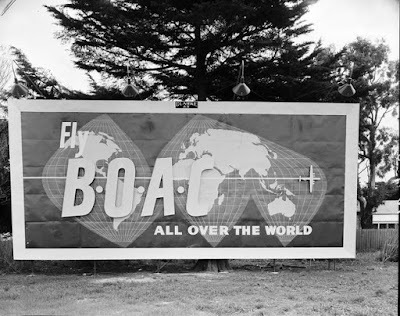 This was the 'War Bond' program, an ad for which is on the St Kilda bound tram above. 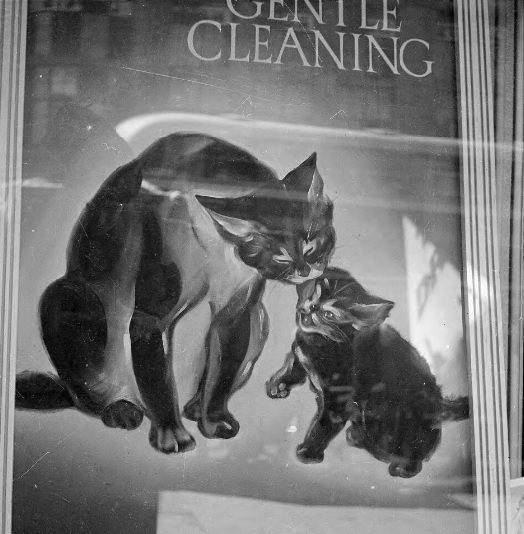 There were also 'Peace Bonds', which were issued by the Government after the end of the war... to help them pay back the money they had borrowed during the conflict. As we said, war is expensive. 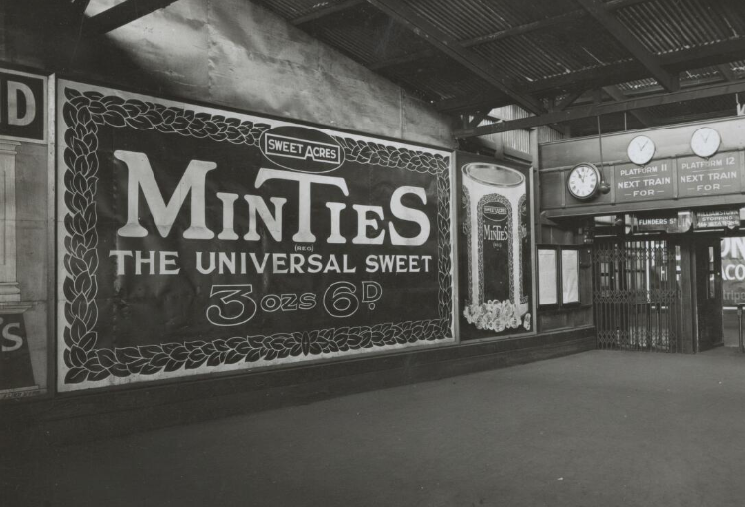 The hard, white, cubic lollies known as Minties were first concocted in 1922, by James Stedman in Sydney. 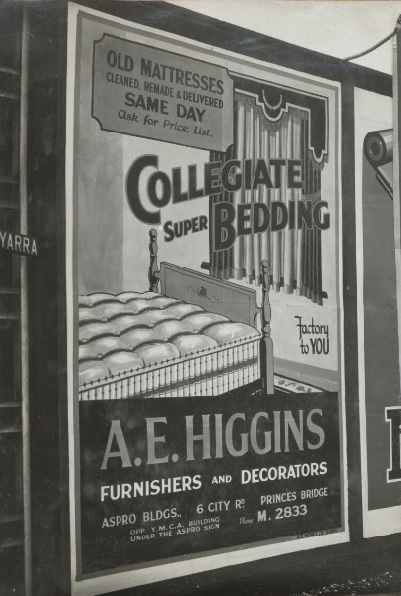 Initially sold under the 'Sweet Acres' brand - also the original home of Fantales, Jaffas and Milkshakes - the lollies' manufacturer has changed hands several times over the years; to Hoadley's (1968), Rowntree's (1971), and Nestle (1981). They are now sold as 'Allen's Minties', Nestle having bought out the Allen's brand in 1985. About 500 000 Minties are still sold each year. 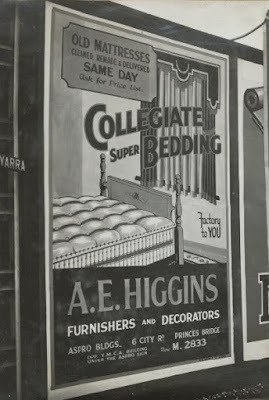 Have your old mattress cleaned, remade and delivered... on the same day! Born in Castellaneta, Italy, in 1895, Rudolph Valentino came to America in 1913 to seek his fortune. Like many European migrants he landed first in New York, and spent several years working odd jobs and living below the poverty line. A proficient singer and dancer, in 1917 he joined a travelling opera troupe that played a series of engagements across America, heading west. 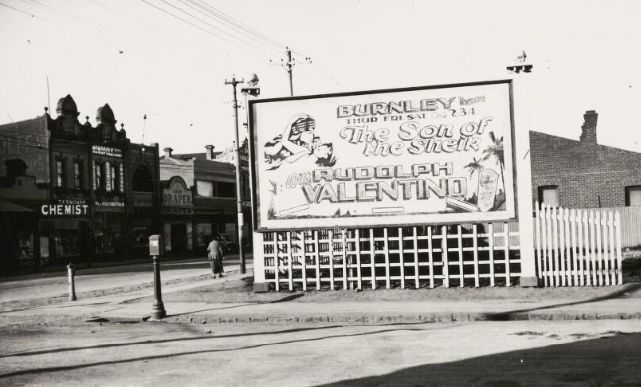 Valentino eventually ended up in Hollywood, where he joined the fledgling silent film industry. Handsome, dashing and mildly exotic, Valentino worked his way up from bit parts to leading man status. He found enduring fame, and a lifelong nickname, in the 1921 smash hit 'The Sheik,' where he played a rugged Arabian prince who is smitten with a tough minded American girl. 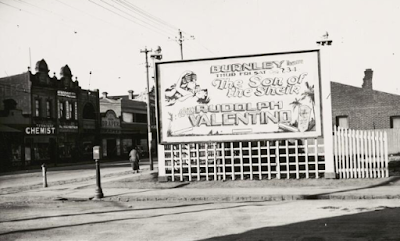 The billboard above promotes the film's sequel, 'Son of the Sheik,' where Valentino reprised his role, and also played the character's son. Sadly, the film would prove his last. Later in 1926, he was suddenly stricken with acute appendicitis, which progressed into peritonitis. Valentino died from the illness on August 23, 1926, aged only 31, and so triggered an extraordinary outpouring of public grief from his fans. An estimated 100 000 people lined the streets of New York for his funeral procession. 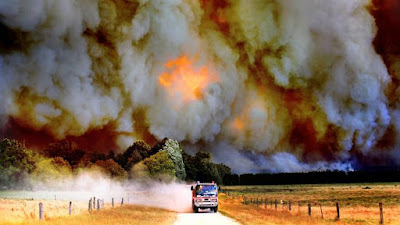 Nowadays, many of us in the southern states will head north for a holiday, or even just a long weekend, looking to escape the cold and wet in sunny Queensland. 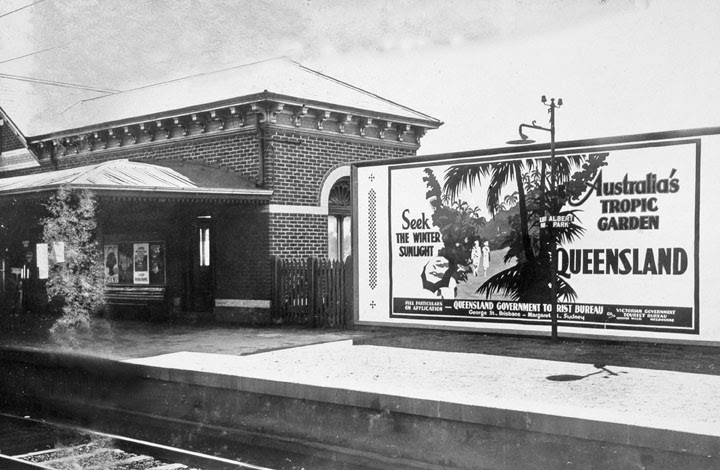 So it's interesting to note that this has been the case, and that the Queenslanders have actively sought our tourism business, for decades. 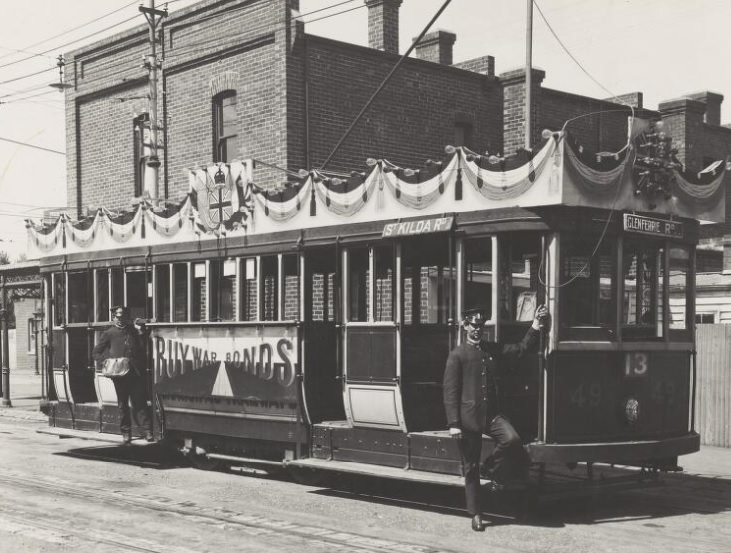 The telephone came to Melbourne in 1880, only two years after the first exchange was established in the US. 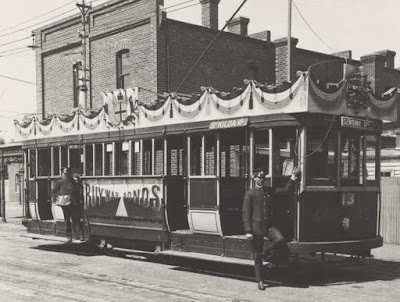 It caught on quickly; from 44 customers at its inception, there were 30 000 telephone numbers registered in the city by the turn of the century. After Federation in 1901, telephones were regulated by the newly created Postmaster General's Office (which also oversaw telegraph lines, as well as the actual post). The type of telephone in the ad above was known as a 'Candlestick', and had been in use since the 1890s. It was on its way out, however; in the 1940s phone manufacturers switched to a more modern design, with the mouth and earpiece combined in a handset. The Postmaster General retained control of Australia's phone lines until 1975, when the Fraser Government created Telecom, the forerunner of Telstra. 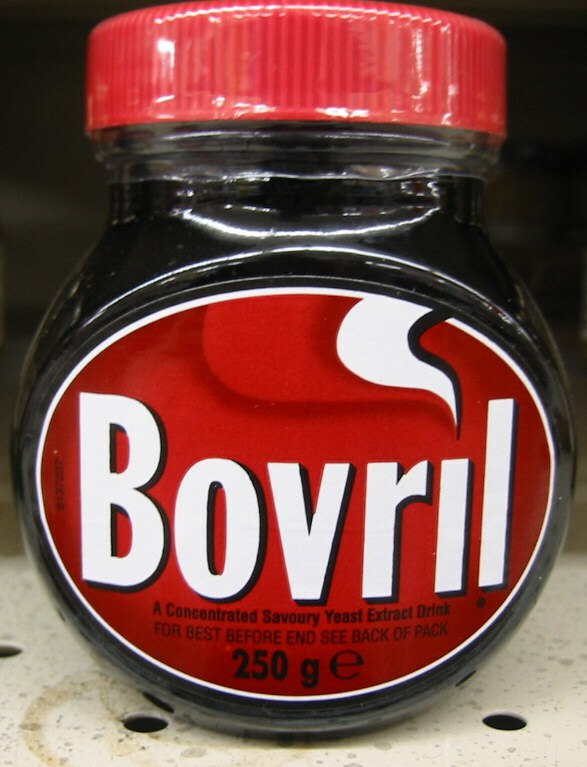 First concocted in 1870 by John Lawson Johnston, Bovril is a beef extract initially designed as a war provision. It was requested by Napoleon III, ruler of France, who was struggling to adequately ration his troops fighting in the Franco Prussian war. It was, and is, manufactured in England, where it then caught on as a popular domestic product; most often dissolved in hot water and served as a kind of tea. It then found its way out into the British Empire, and it can still be found in many local supermarkets today, still in its distinctive bulbous bottle. The British Overseas Airways Corporation, or BOAC, was formed by the British Government in 1939, just as World War II was about to erupt. Throughout the war years, the airline continued to run passenger services between England and the rest of the world, often at great risk, and so kept a vital communication and transport link open. By the time the war was over, BOAC had established itself as one of the world's largest airlines and so continued to operate. In May 1952, BOAC became the first passenger airline to use jet aircraft, when it began running services with the de Havilland 'Comet 1'. The Comets were removed from service only two years later after several crashes, later determined to be from the previously unknown issue of metal fatigue. Two years later, the British Government established 'British Airways' as the new, state run airline, and BOAC was absorbed into the new entity, along with the smaller British European Airways (BEA). 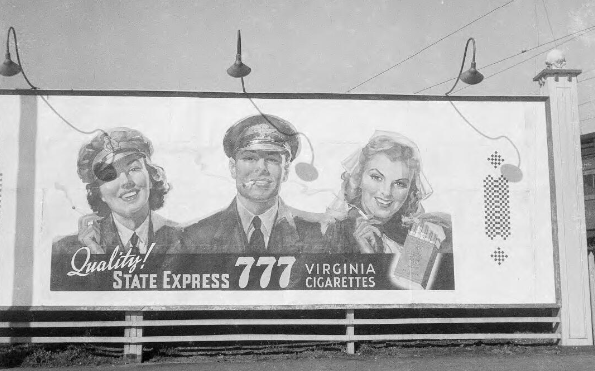 'State Express' was an English tobacco brand, originally manufactured by the Ardath Tobacco Company. The story goes that Sir Albert Levy, a London based tobacco merchant, founded the brand after riding a high speed train in the US in 1893. The 'Empire State Express' hit a then record 180km per hour when running from New York to Buffalo, and Levy enjoyed the experience so much he trademarked the name 'State Express' on his return to the UK. Ardath sold the worldwide rights to 'State Express' to British American Tobacco in 1925. BAT continued to use the brand, and marketed different numbered tobaccos, from 111 to 999, of different strengths and aimed at demographics. The 777 brand indicated above was a strong smoke, made from Turkish tobacco. 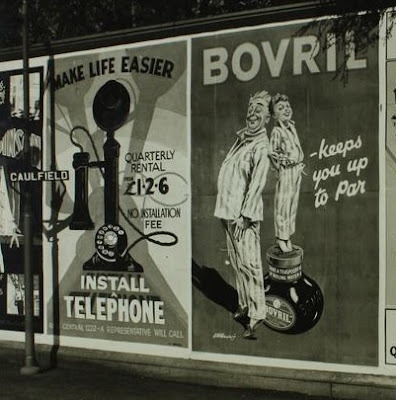 Cigarette advertising on billboards was banned in Australia in 1992, having been banned from TV and radio since 1976. I have no other information about this one, other than it is very cute.